In Tools and Hardware > Binoculars > Show & Tell. Another mystery. 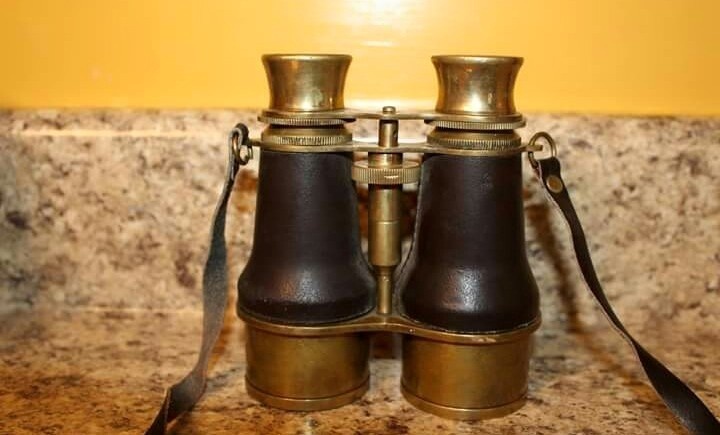 Does anyone has information about these binoculars? I got them from a garage sale- Thought they were very cool! No, I cant find any. Hard to see in pic, is the black area Leather? or painted black? Hi I have a replica set bought from a collectors centre many years ago as we lived right by the sea. 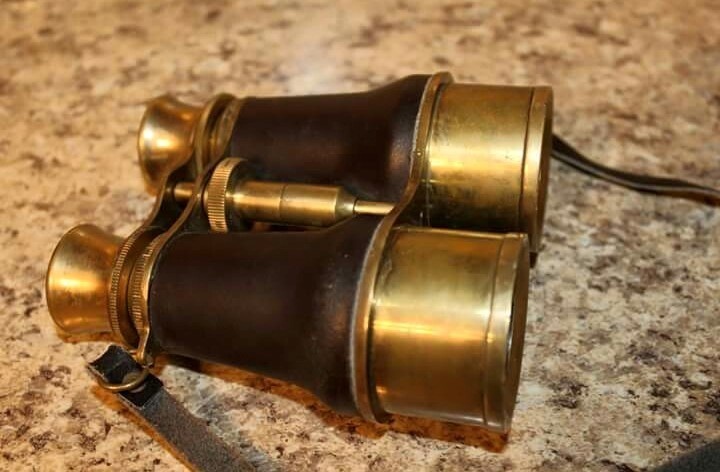 I found out at the time after a bit of research they are Second World War field glasses used by our tropes on the front line . I don't know, the patina on this one looks real old. Why would anyone go through all the trouble to make them look old? Do you have the page showing info on this pair? Ahhh, I just read on that site that the ones on their site are reproductions. I think this is the real deal. What do you think brass looks like after a few months of use in salt air? I had to replace leather camera straps because they crack after about twenty years of use (even with a yearly neatsfoot oil rub). Do the straps look like 100 year old leather? They don't to me. Now the brookstone looks like these, so you may be right!! I know the man having the yardsale was about 80+ years old..but yes it doesn't mean the I family member couldn't have bought it online. Period optics tend to have a name on them (companies back then were prowd of the quality of their optics, even if the quality was low). Military items tend to have contract numbers, dates, or part numbers.